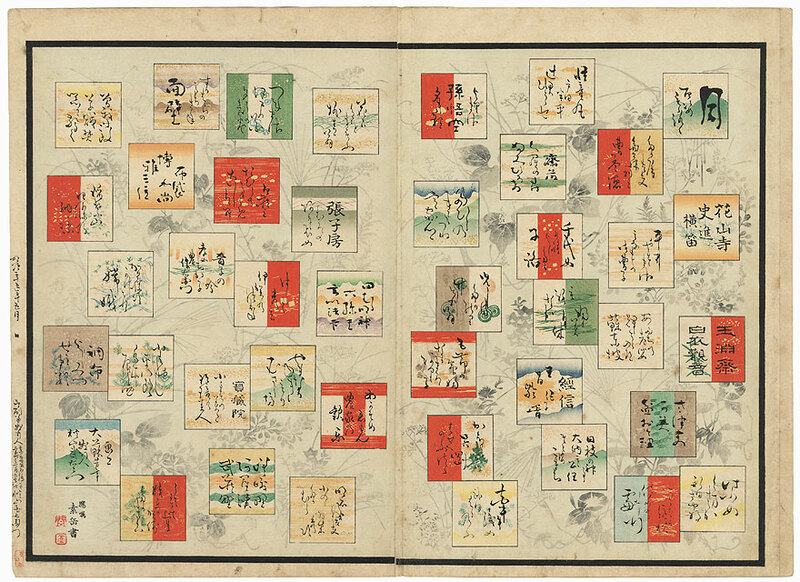 One Hundred Aspects of the Moon Table of Contents - Beautiful diptych table of contents for Yoshitoshi's masterpiece series "One Hundred Aspects of the Moon." 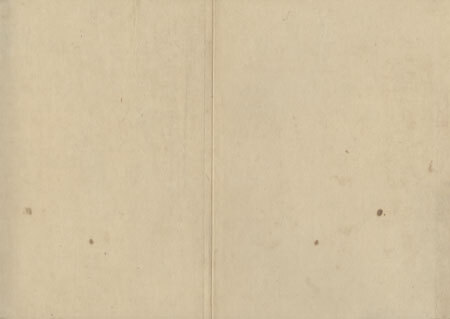 The print features a series of square cartouches enclosing poems or titles in calligraphy. These insets are beautifully colored and shaded with a variety of designs, from pine sprigs and grasses to waves and the silhouettes of mountains. 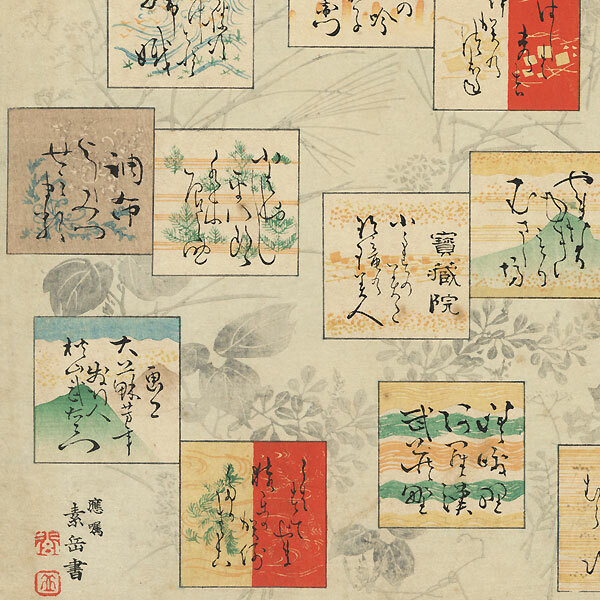 Sprays of flowers, grasses, and leaves in delicate gradations of gray fill the background behind the blocks. A wonderful complement to the series. Condition - This print with excellent detail as shown. Two attached panels, backed with paper. Slight toning and soiling. Some staining. Center crease. Please see photos for details. Good overall.